Along with anything else in your wardrobe, jewelry can empower or disempower your look. It would be a shame, after spending time and focus getting your ensemble beautiful for your particular shape, to reduce its punch with a necklace or earrings that don’t harmonize. Lets check out each of the five body shapes and see what works best. Then you can head over to Istina Design’s Shop and check out the beautiful manufactured stone necklaces available. They can be customized with the perfect chain length and style for your body shape. Custom necklaces are also available by contacting me directly on Istina Design. Also known as a pear, you can get away with all the jewelry that other shapes are advised to stay away from. Go for big and chunky. All those statement pieces look beautiful. Huge, statement, or just plain bright earrings look great on you. You can wear pendants but don’t go real small and delicate. Consider putting them on a ribbon to tie around your neck. Also know as the hourglass, you are best heading for all the classic time tested jewelry. Pendents look great on you in any size. You are best if you keep the chain length to around 18″-20″ so the pendent sits just below your collarbone. Any chain will work but steer clear of the big linked chunky chains. You can get away with a chunky statement piece but be selective – just the necklace or just the earring being chunky or large. Also know as the apple, you are best with necklaces that frame both your face and neck. Don’t make them too small or their smallness will be all that is noticed. On the other hand, don’t make them big chunky statement pieces or your face will look small. Not only will chain lengths of 18″-20″ good for you but so will the chains that hang down long on your front. They work beautifully with an open front coat that provides a beautiful display area for them. Also know as a rectangle, you are best keeping your necklaces long and wearing multiple ones of differing lengths. Create movement with your jewelry as well as your clothes. You can get away with statement pieces as long as they are not up close to your face. Big chunky pendants are beautiful. Also know as an inverted triangle, you look best on long chains and pendants that hang low on your chest. Long skinny earrings will add to the long svelte look that you are working at creating. Just about any necklace will work as long as you pay attention to the length and style of the chain it is on. Go out and have fun. Most important, if that necklace calls to you – answer it regardless of its style and adjust it to fit you beautifully. 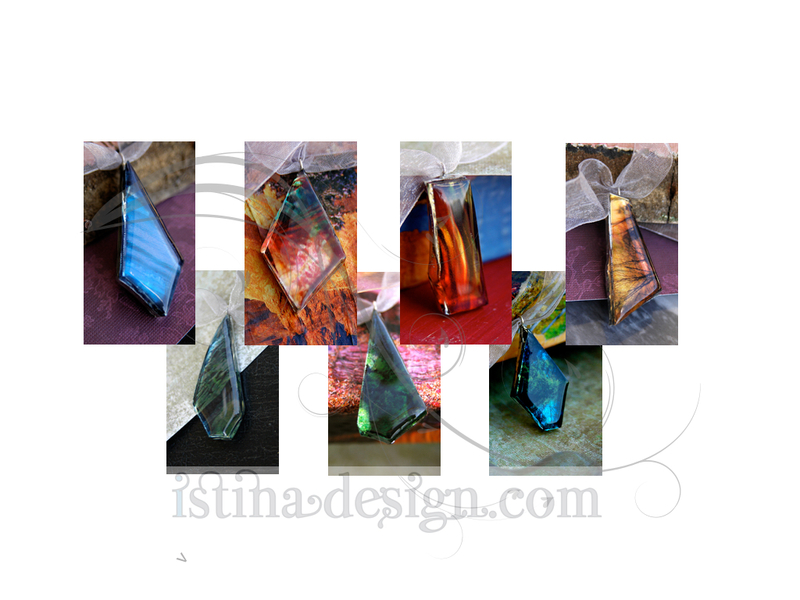 To check out the jewelry on Istina Design, please check out the accessories in our Shop.